Melania Trump, the wife of US President Donald Trump, on Thursday visited children displaced by the country's immigration crisis in Texas. 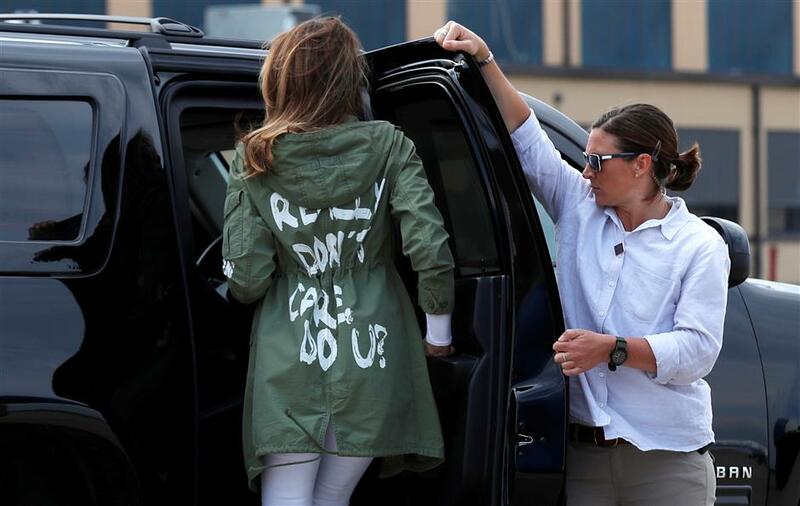 US first lady Melania Trump walks to her motorcade wearing a Zara design jacket with the phrase "I Really Don't Care. Do U?" on the back as she returns to Washington from a visit to the US-Mexico border area in Texas, at Joint Base Andrews, Maryland, US, on June 21, 2018. But the jacket the US first lady wore for Thursday's trip conveyed a different message.